With more than 135 acres of park land, Cleveland Heights is a great place to build a family or a business. It’s a great place to call home, too, and we want to help you keep your home safe. Our residential and commercial security systems for Cleveland Heights are built to last with the most up to date technology available, so you can have protection you can trust. ProTech Security provides you with all the necessary security tools and services to keep your home or business secure. We understand that every case is different, so we don’t just sell you a system and walk away. We give you our advice as your neighbor and create custom solutions that protect your most important assets. Our security systems in Cleveland Heights are built with the most up to date technology available, so you can have the ultimate confidence in what’s guarding your home or business. 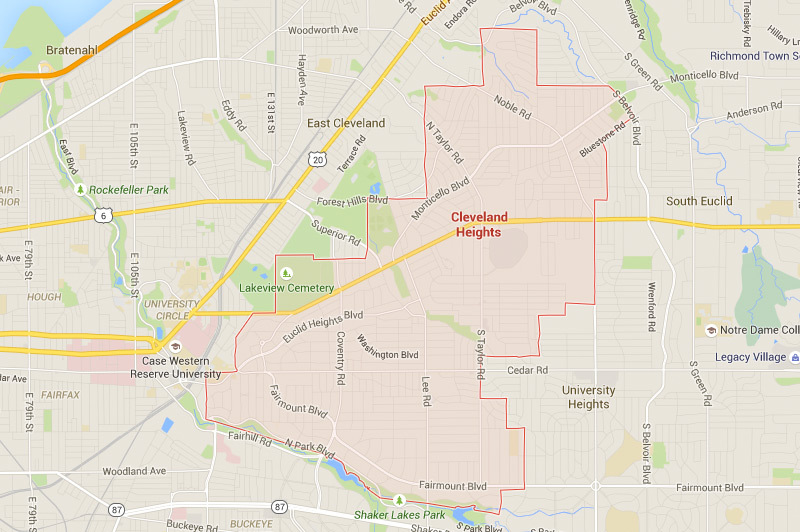 Interested in learning more about your security options in Cleveland Heights, Ohio? We offer commercial security systems that protect the businesses, schools, and government institutions throughout Cleveland Heights. You’ve worked hard to establish your business, you deserve a strong security system to keep everything protected. Our solutions offer a variety of services so that you can cover all your bases. We also offer residential security systems that protect your loved ones and belongings. Keep the thought of intruders out of your mind with our solutions to make your house more secure. With a security system running 24/7, you can sleep easy knowing you’re well protected. We also offer custom solutions for educational institutions and government facilities throughout Northeast Ohio. Good security is key to your employees feeling safe in their workplaces. We’ll work with you to choose the right solutions for your business so everyone in your building feels secure. The ProTech Security Advantage is more than 35 years of service and a strong commitment to providing quality, cost-effective protection for homes, businesses, educational institutions, and government facilities. That includes a forward-looking philosophy that centers on the latest in IP (Internet Protocol) technology and IT (Information Technology), which is built with dynamic, non-proprietary systems. We’re proud to call Northeast Ohio home. For more information about how we serve our neighbors in Cleveland Heights, contact us today.